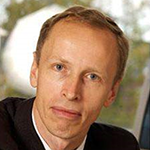 Steen Thomsen is a Professor of Corporate Governance at Copenhagen Business School and chairman of the Center for Corporate Governance. He specializes in corporate governance as a teacher, researcher, consultant and commentator. Professor Thomsen has served as a non-executive director in several business companies, and is currently a non-executive chairman of two consulting firms. He has served as a consultant and lecturer to several large companies and government organizations, including the European Union and the United Nations.